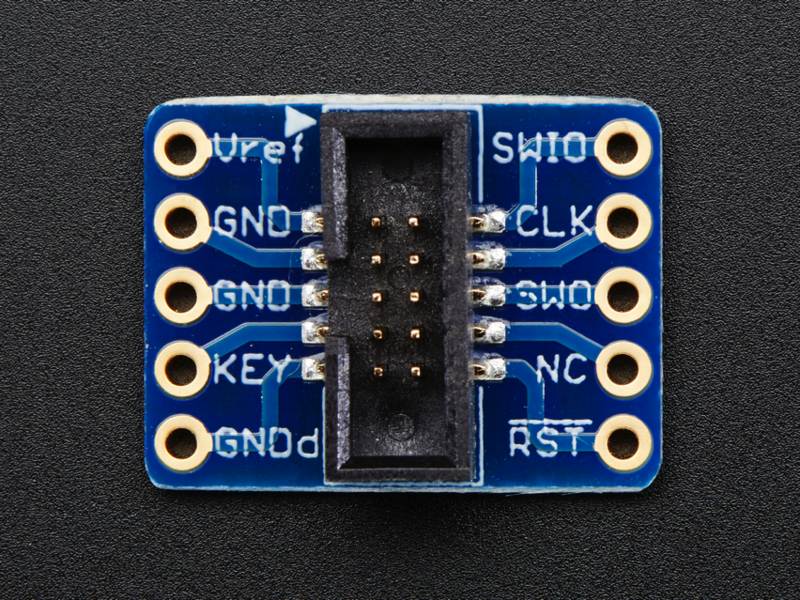 NEW PRODUCT – SWD (2×5 1.27mm) Cable Breakout Board « Adafruit Industries – Makers, hackers, artists, designers and engineers! 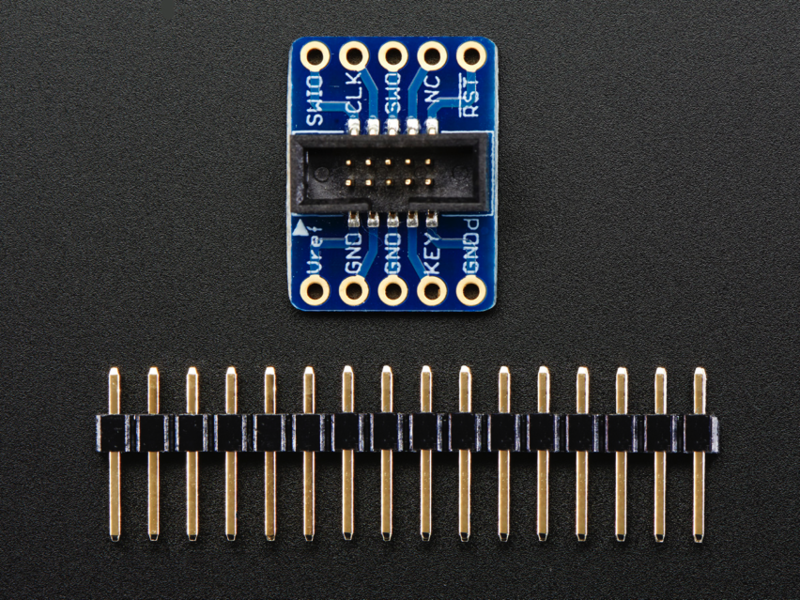 This adapter board is designed to make it easier to use ARM dev boards that use slimmer 2×5 (0.05″/1.27mm pitch) SWD cables for programming. 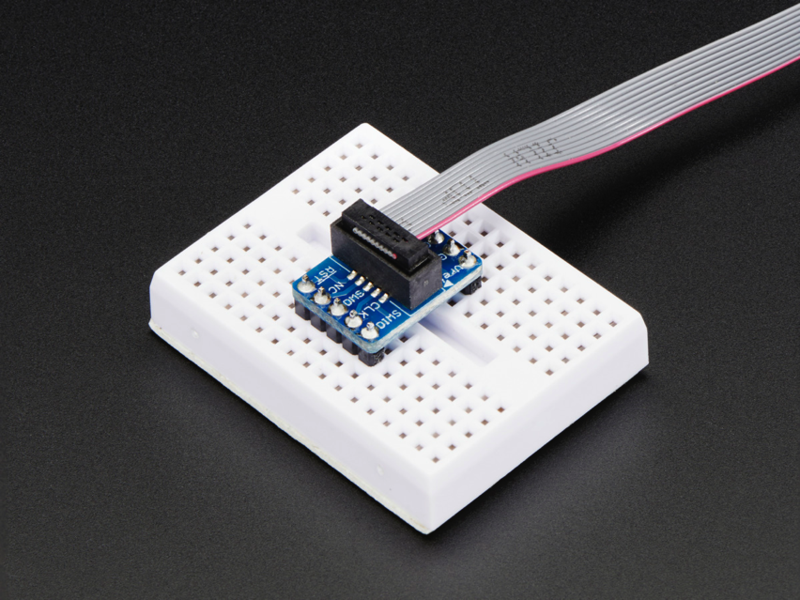 It’s helpful for using products like the JTAGulator, STLink or SEGGER J-Link with tiny boards that use the 10-pin SWD programming connector, often Cortex M0 or M3’s. This board comes with no cables. 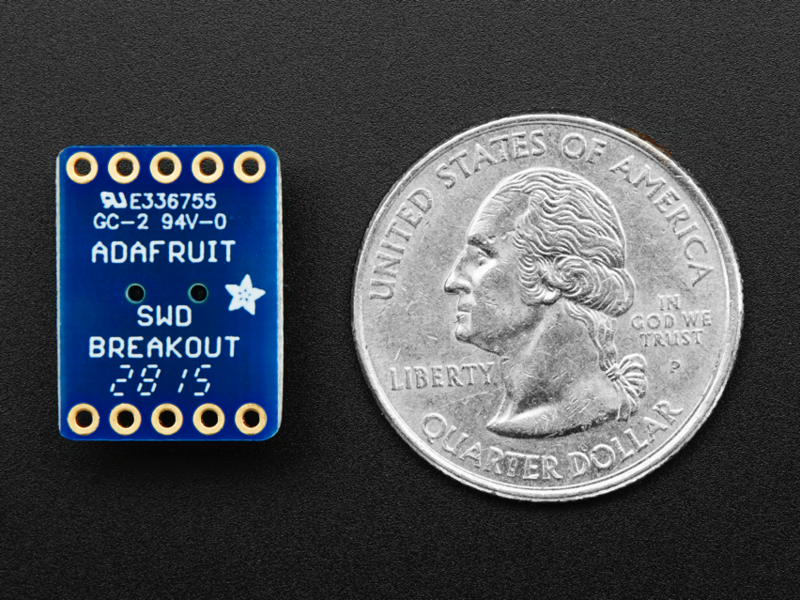 It’s really just the breakout board and some header if you need it – but is super helpful when you want to use JTAG/SWD debugging. 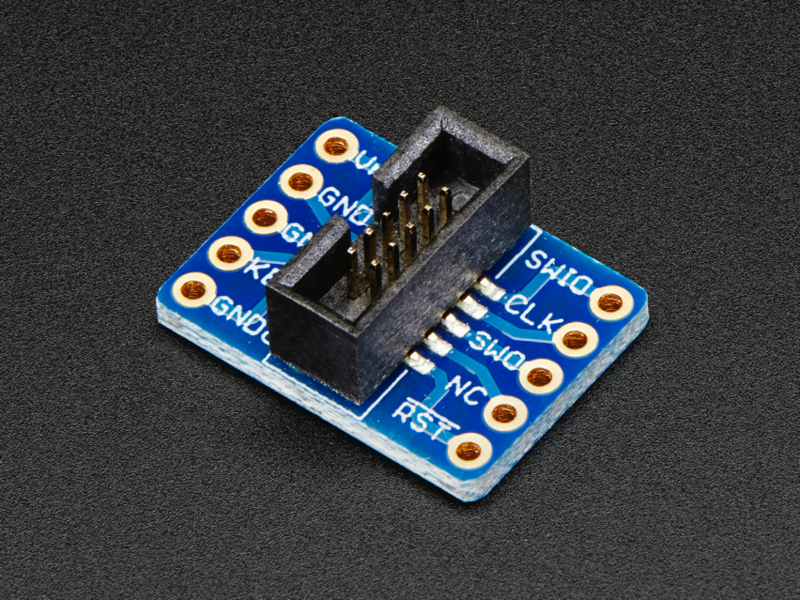 We do stock the SWD cable if you need one here and have a ‘classic’ JTAG to SWD converter board here.